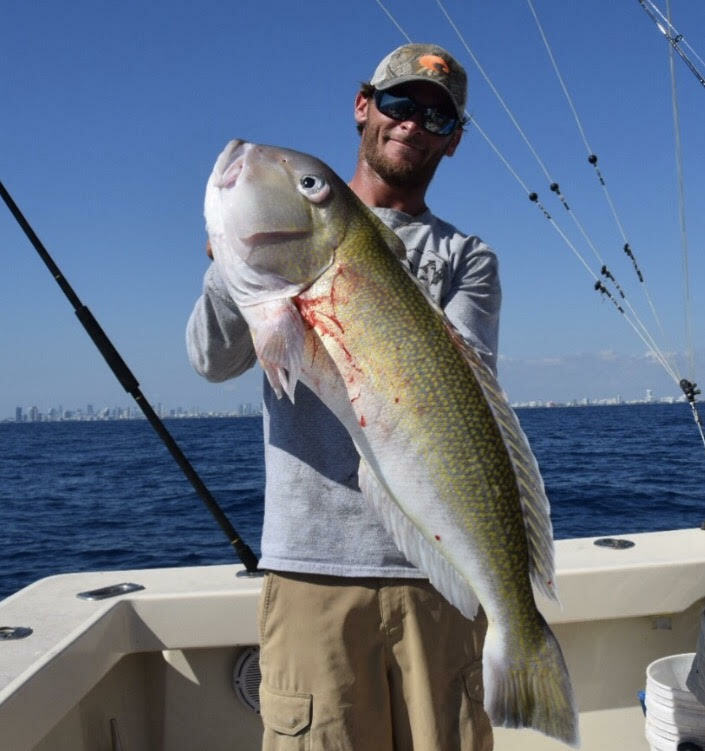 Golden tilefish are fairly simple to target with the correct approach. 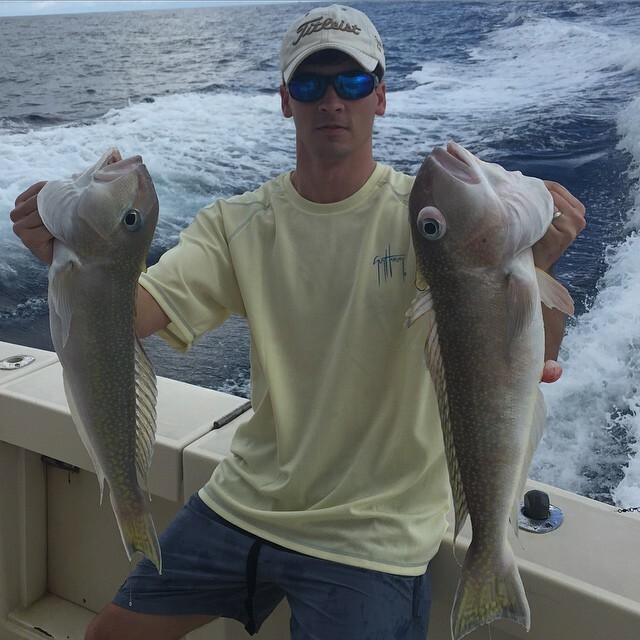 Tilefish prefer deep, cold water in the 550-900 foot range. They are a benthic species staying on or near the bottom. Tilefish burrow in the mud ready to ambush prey. They feed on live and dead bait (squid, mackerel, porgys, etc). Tilefish often gather in schools. Although they prefer mud bottom, some of our biggest tilefish are caught near rockpiles or humps with heavy concentrations of rosefish. The rig we use for golden tilefish is called a "lay down rig." It has a 6 ounce lead and a light at the top followed by 4 hooks on 80 pound leader. We prefer extra strength 8/0 circle hooks and 80-130 pound leader. At the end of the rig is usually a 4 pound lead. Squid is a great bait but bonito strips and barracuda work as well. When targeting tilefish we like to use a rod with 50-80 pound braid. Manual or electric will do depending on the current (in heavy current, use more lead and it's best to go electric). We like to cover water while tilefishing. We simply bounce the rig on the bottom and try to hook multiple fish before pulling the rig. If we hook a big one we usually crank him up and re-drop in the same area. Tilefish fight hard and taste great, they are a great alternative species on slow days.